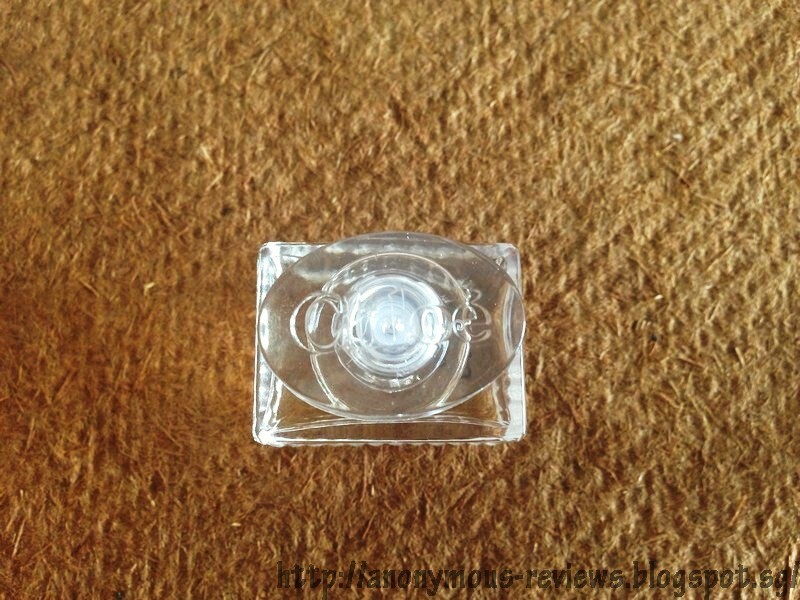 The 1st prize winner of this giveaway is Katina! Congratulations Katina! I would have already emailed you by the time this post is up, so do reply back to me with your home address and I’ll sent the package right away. 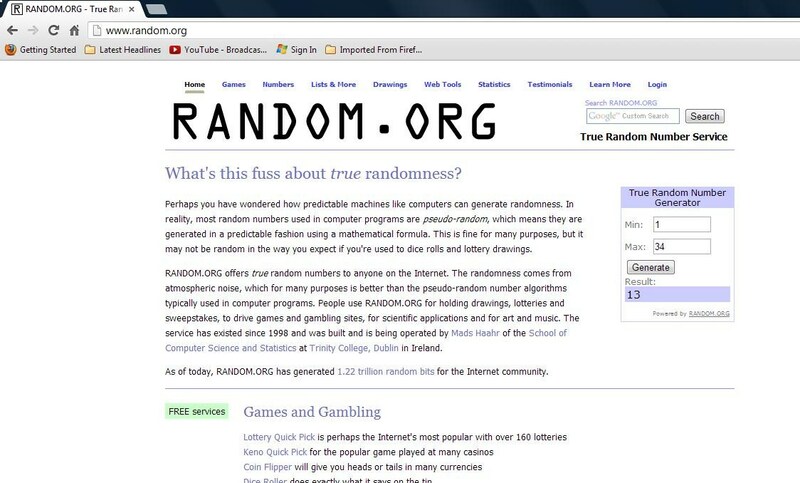 The 2nd place prize winner of this giveaway is Lydia! Congratulations Lydia! I would have already emailed you by the time this post is up, so do reply back to me with your home address and I’ll sent the package right away. I sincerely thank you for all who entered this giveaway. Don't be upset that you didn't win this time, I am planning for more giveaways so please stay tune to my blog, I’ll have more exciting products to give away to you guys. Do join my ongoing mini Chloe perfume giveaway if you haven't already! 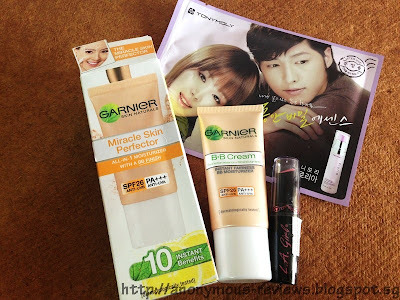 Giveaway closing on 1st January 2013. 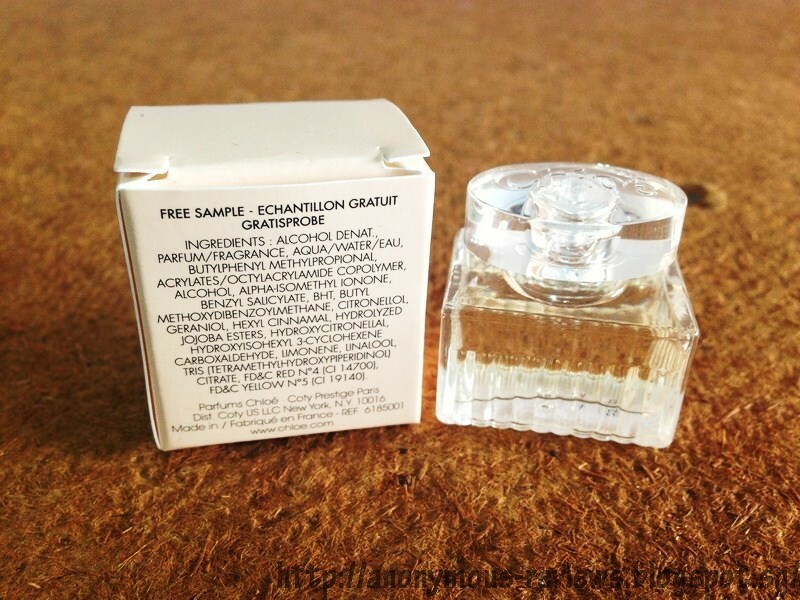 Hey guys, I asked you guys in my previous post if I should give this perfume away so I decided I should! 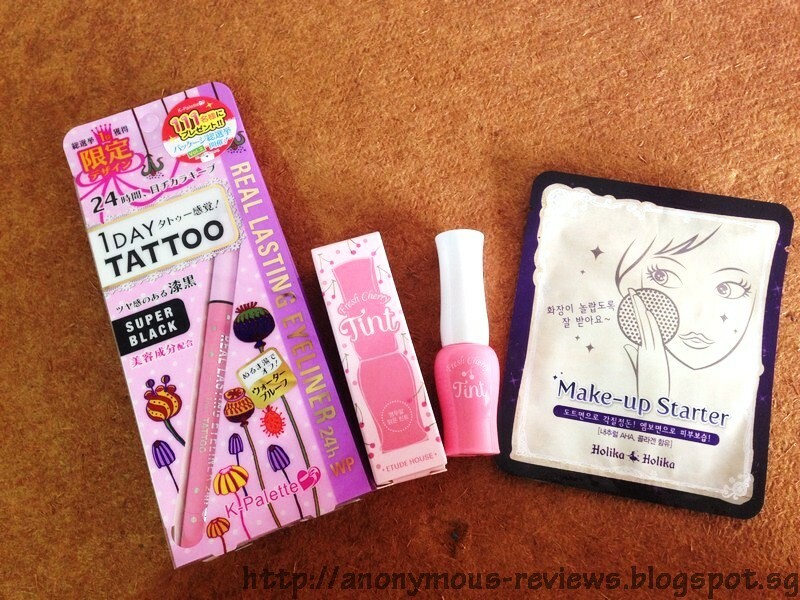 This giveaway will only be opened for a week [so be quick!] since the prize is really so tiny. But I figured that someone else would appreciate it more than me. 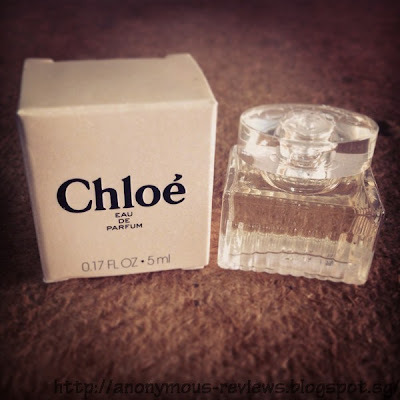 If you are interested in trying a Chloe perfume, maybe give this little baby a try? This Giveaway ends on January 1st 2013 which is New Years Day, so this is kind of a New Year mini giveaway I guess. *Disclaimer: On the box behind it states Free Sample but I bought it with my own money. 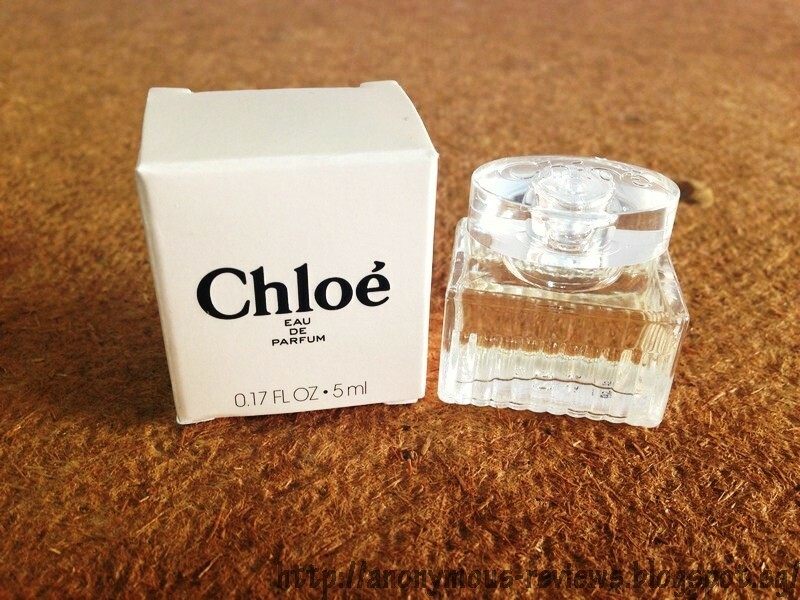 The prize Chloe Eau De Parfum EDP Perfume is 5ml/0.17 fl oz so please note that it is very small. Winners will be chosen using Random.org and notified via email. Please get back to me within 3 days with your postal address if you have been chosen as the winner. Winners will be posted/announced on January 2nd 2012 in this post. 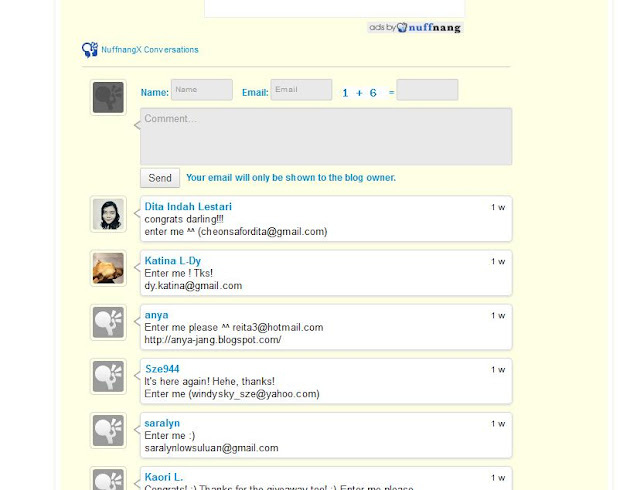 Also, please make sure to enter your comment in the new NuffnangX Conversation system. I am quite confused because I still get comments using the old commentary system. The new comment system is shown as below so please make sure you enter there. If you haven’t joined my 50 followers giveaway, feel free join both! 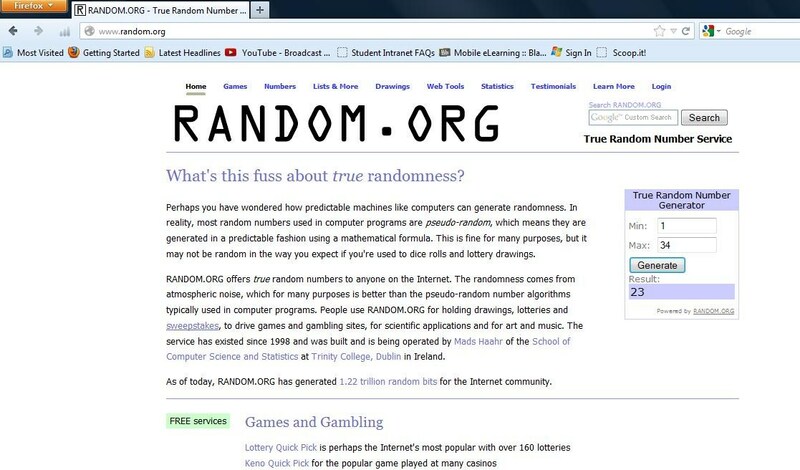 I sincerely thank each and every one of you guys who entered! I am so glad I have you guys with me in my exciting little blogging adventure. I wish you all happy holidays and a prosperous new year! Hey guys! 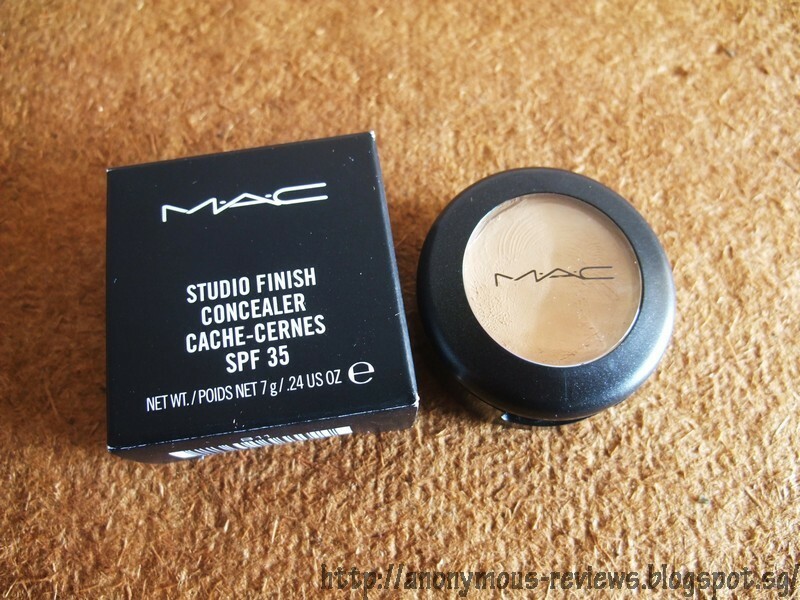 When you talk about best concealers out in the market, MAC’s studio finish concealer is always in everyone’s top 10. I knew I had to get it after hearing so many raves about this product! 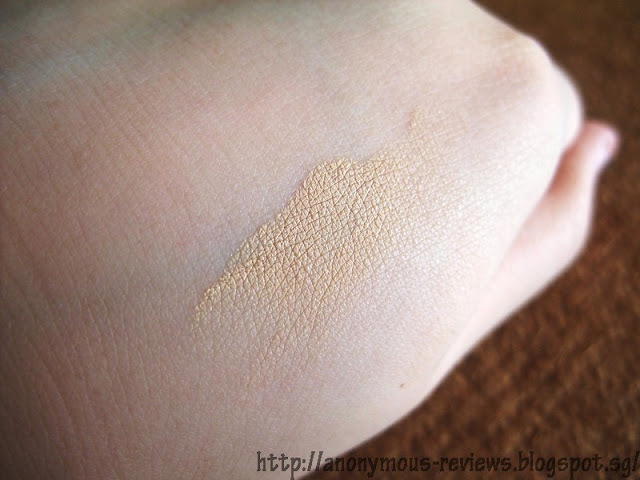 This concealer, hands down, best coverage concealer I have ever used. It is able to conceal my scar from my mole surgery which is pretty impressive. 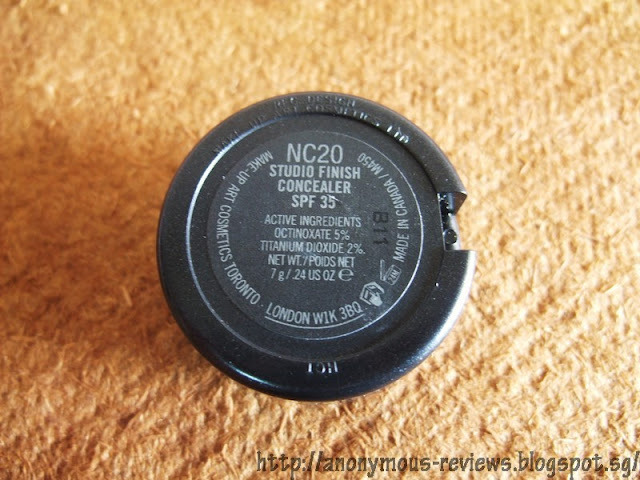 If you have severe acne scarring, this is the concealer for you. I would consider it high coverage. You only need to use a dab of this. A little goes a long way. It is very hard to blend so just dabbing the zit with the concealer and lightly blending it out with my finger I find works best. It lasted for a good 3-4 of full coverage before transferring onto tissues. I always set it with powder to make it last longer. The MAC Studio Finish Concealer does contain SPF 35 which is great since it protects the scars and active acne from the sun which may cause pigmentation. I don’t particularly find the price to be too bad, S$28 might be a bit expensive but we all know that MAC cosmetics are expensive in general. Their foundations are in the S$47-$58 range so for a reputable concealer, I didn’t find it to be too bad. These days, drug store concealers are more expensive as well. I know Revlon Photoready concealer are in the S$20 range which is absolutely crazy. It is actually too light for me. 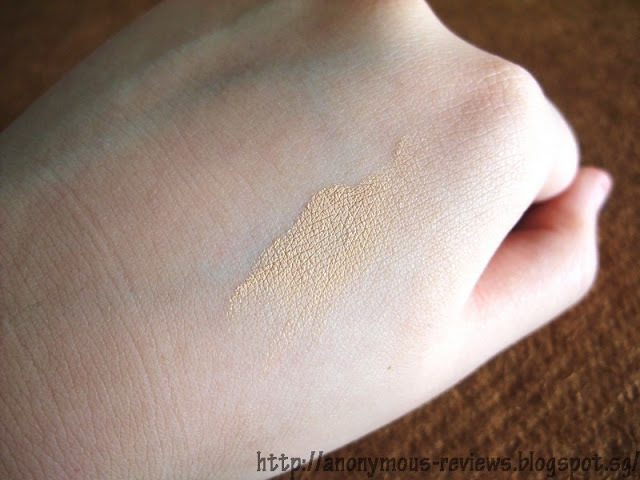 I’m a good NC25 closer to NC20 but this concealer is way too light for my skin tone. It does not come in NC25 as far as I know so I had to get the NC20. I’m lighter on my cheek area and my forehead area is slightly darker. I wish it came in a NC25. 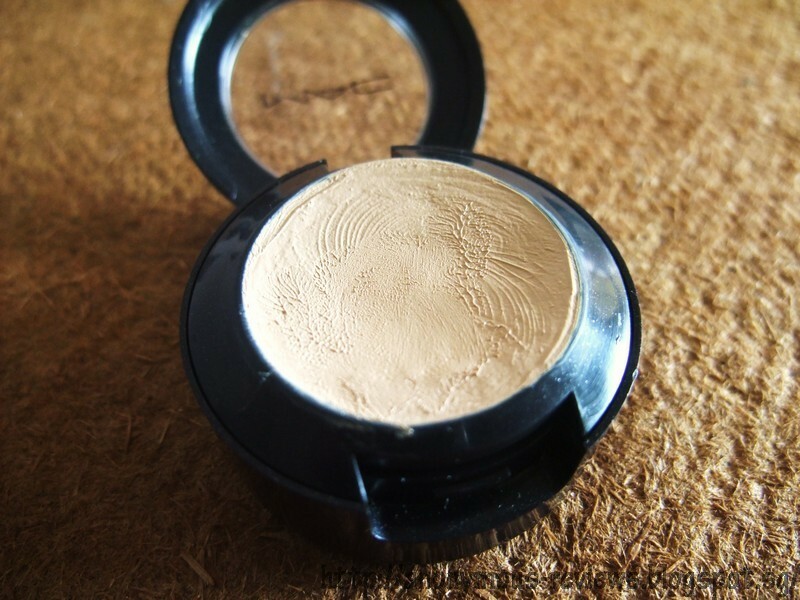 The top layer dries up in the plastic container so every time I use it, I have to use my hairdryer, set it to warm and melt the concealer before applying to any spots. 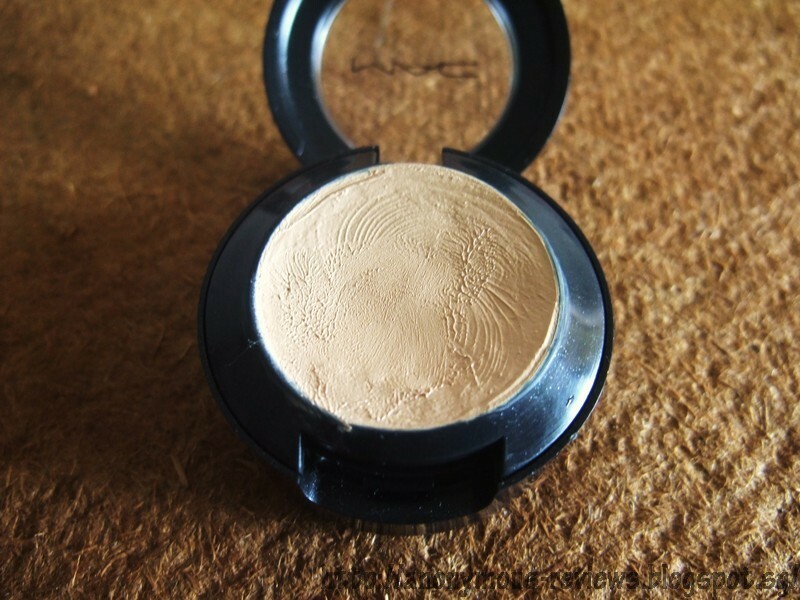 After heating, the concealer melts into a nice, creamy texture that blends well. I do not recommend using it for under eye circles but I do know many bloggers/gurus uses it for their dark circles. I find that it emphasizes the fine lines under the eyes since it is so dry and I have to use a lot of pressure to blend out the concealer which is bad for the delicate eye area. 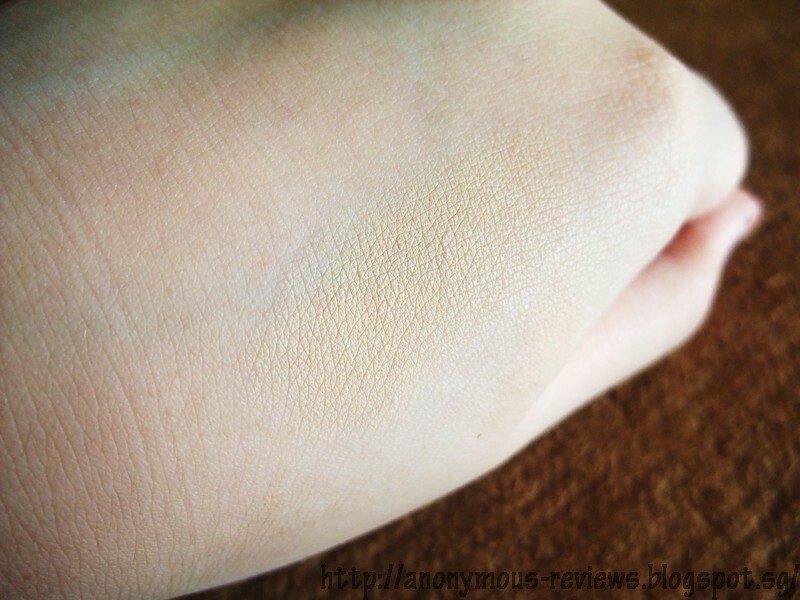 And again since the consistency is so thick, it is very hard to blend. I do not like the pot container because it is unhygienic and troublesome (you do need to use either you fingers or brush). I prefer using a brush to get a nice small amount but the heat from the fingers can be used to warm up the product. 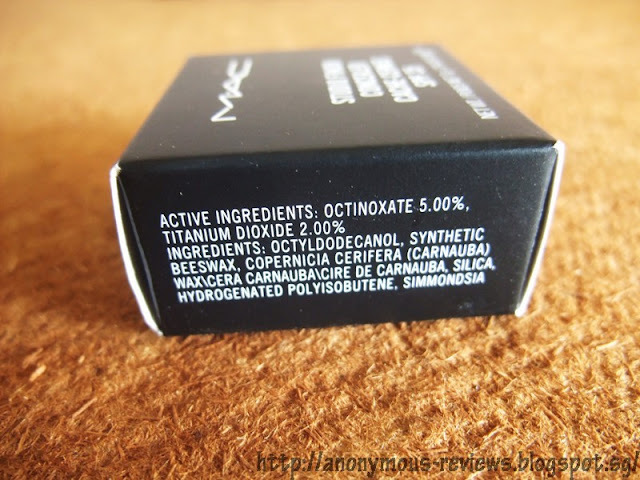 It does make your face look cakey if you use too much of it. Sometimes we get inflamed fury zits the size of a ping pong ball and we’d like to conceal that using the best coverage concealer we have. 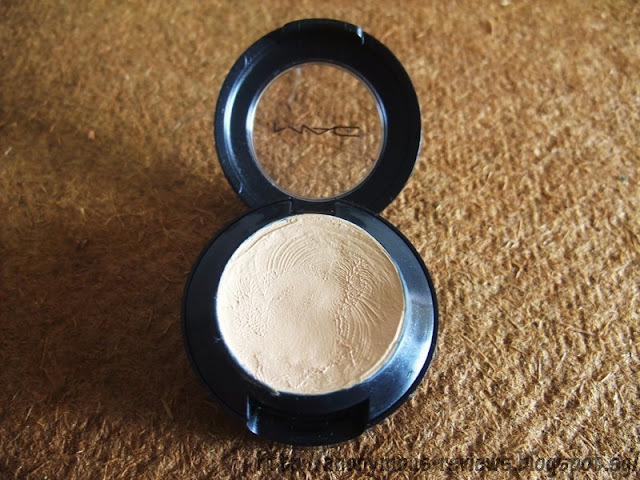 I like to use the MAC Studio Finish Concealer for that purpose, it does a great job. But the area looks cakey because it gets so dry, so try adding layer by layer. 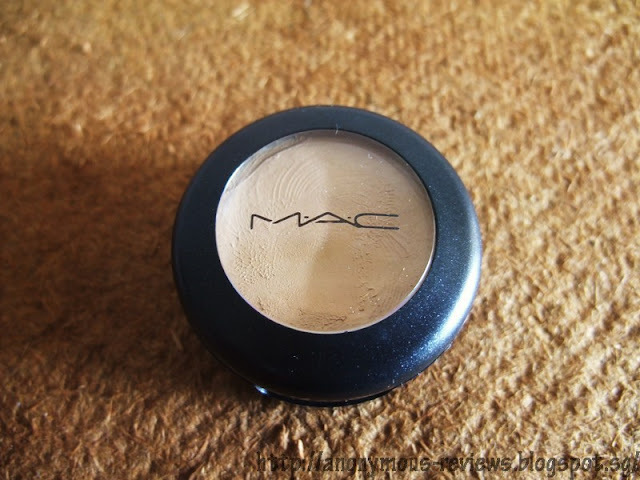 All in all, the coverage from MAC Studio Finish Concealer is amaze-balls, if you require extra coverage for any spots, blemishes or scars, I highly recommend this concealer. But if you do not need such a high coverage concealer, or if you prefer a more natural, easily blended concealer, you might want to save the S$28 for a creamier alternative. Will I repurchase? No, I find it too dry and cakey for my skin. Thank you for reading for blog, if you have any questions, suggestions or feedback, please feel free to comment down below or drop me a email at ar_enquiry@hotmail.com. I reply to all emails! Merry Christmas everyone! I hope you guys have a happy and safe Christmas day! Join myongoing giveaway if you haven’t already!